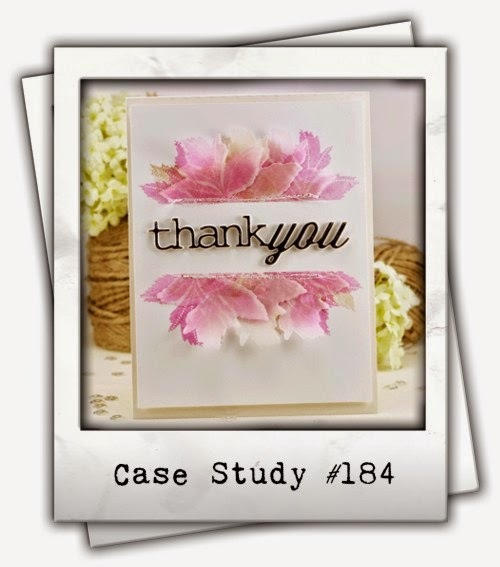 For the love of life: CASE Study 4th Anniversary Blog Hop! 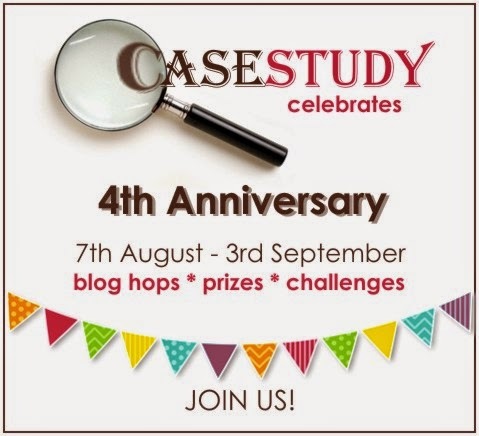 Hello and welcome to the CASE Studay 4th Anniversary Blog Hop! I am super excited to participate as a former muse. Thank you for the invite Iwona!! And who else would I use as my muse as the forever talented Iwona, so let me share my card here quickly with you and I will show you the card that inspired me to create mine with. My card with created with Lawn Fawn's Flutter By stamp set, which I watercolored in. I love watercoloring and I had to cut out the cute butterfly once I colored it in and add some glitter to it. As you can see it's almost ready to fly off my card. And now let me share with you my inspiration, Iwona's gorgeous card. But if that's not enough inspiration, the original inspiration came from Joni and here is her pretty card Iwona cased for challenge #184. Well, as you can see everyone can have their take on another person's card, that's why I love the Case Study challenges so much. Hope you like my take on their gorgeous cards and as part of the participation make sure you leave comments on the designer's blogs as there are prizes to win and trust me you don't want to miss out! Here are the participating ladies today and I know you will be amazed by this hop!